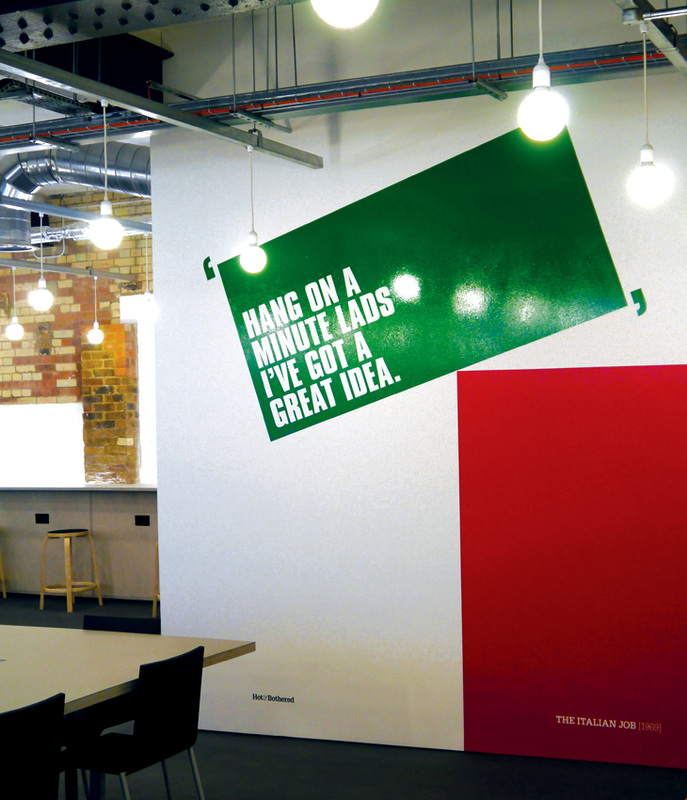 To create a brand name, identity and supporting materials for a network of creative drop-in hubs, based within Workspace Group’s business centres. 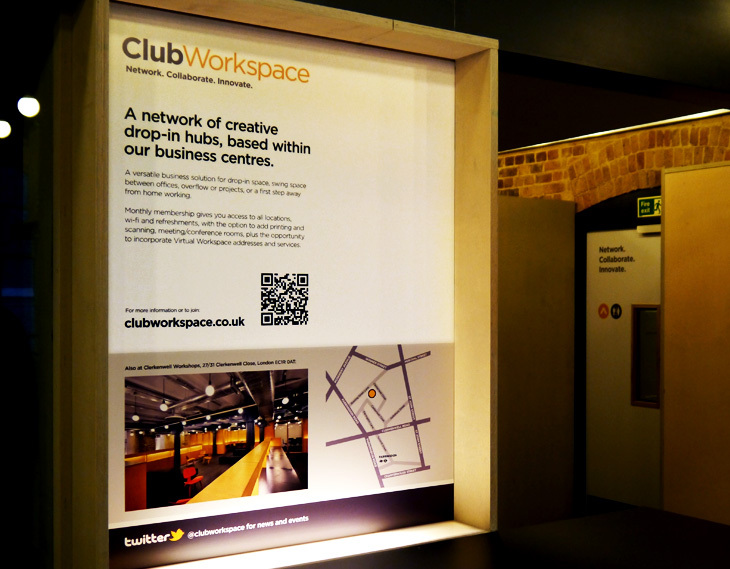 Monthly membership offers a versatile business solution for drop-in space, swing space between offices, overflow or projects, or a first step away from home working. 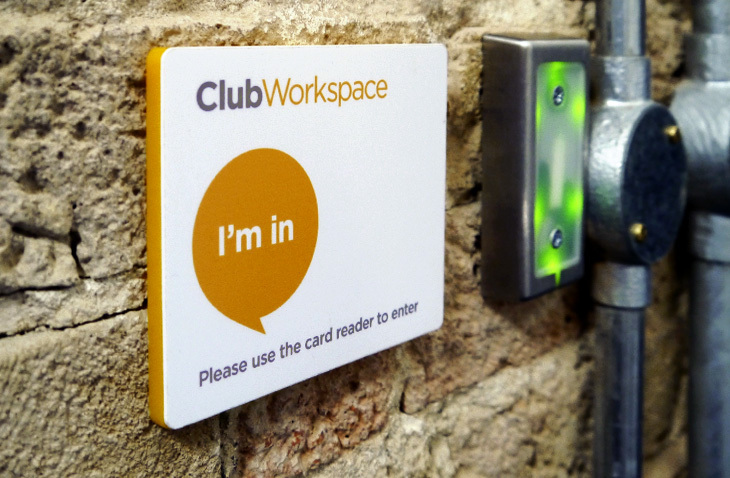 I’m really excited about the new Club Workspace brand - H&B have really delivered a solution that covers every detail. Our approach focuses on a clean, simple design style that is centred around the individual with a friendly and approachable tone of voice. The project includes everything from signage and marketing literature right down to the finer details of bespoke coffee cups. The initial rollout has exceeded expectations with a strong influx of new members and there are now plans for additional Club Workspace venues. 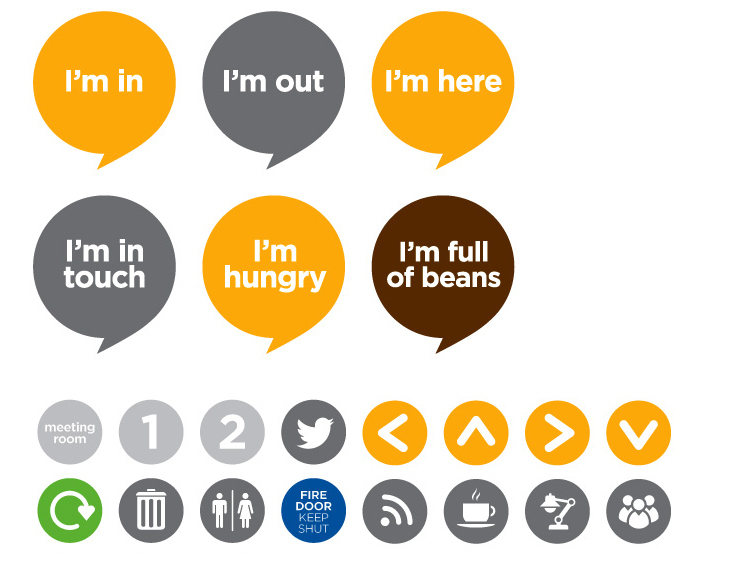 Tone of voice in the first person to reflect the individual. 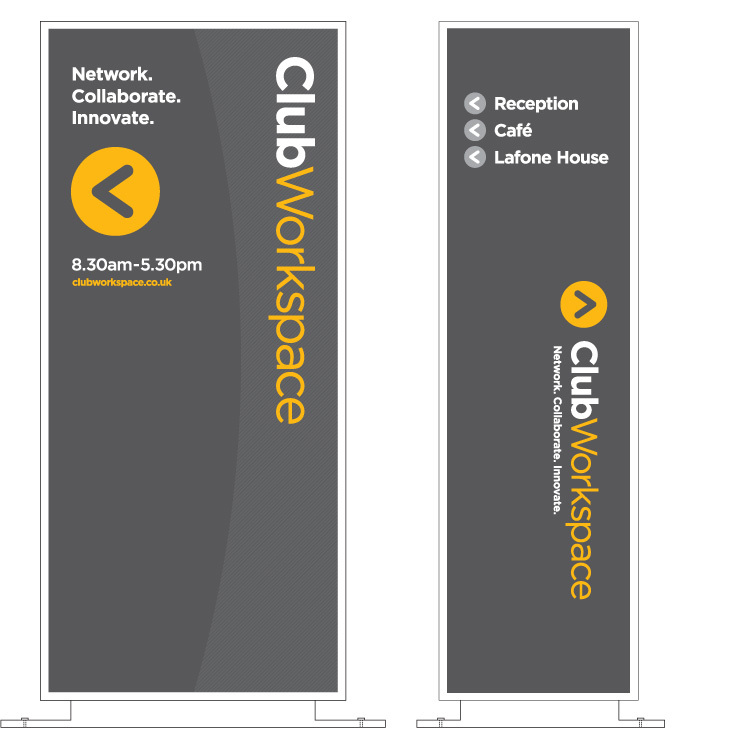 Reversible hanging meeting room signs. Escalator campaign at Oval tube advertising the launch of the new Club Workspace at Kennington Park. 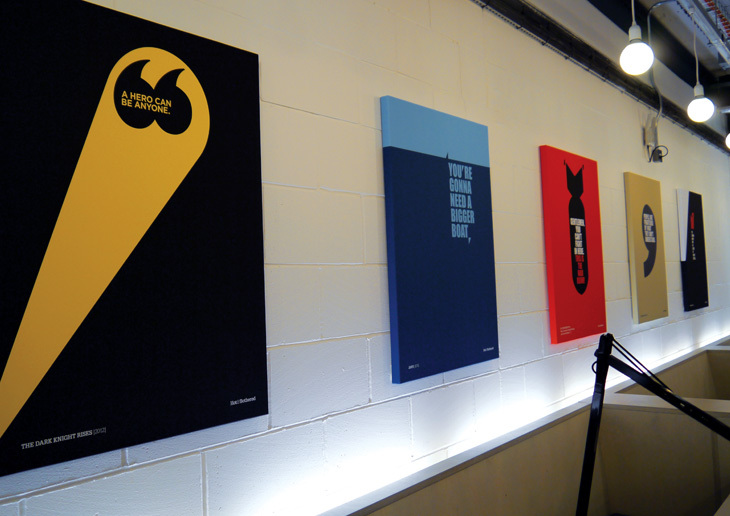 ...and some of our other film quote posters were produced as A1 canvas prints.